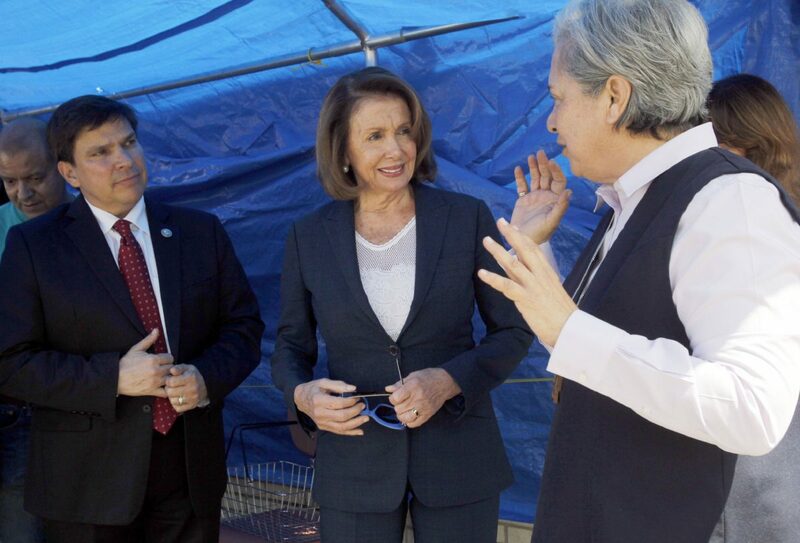 McAllen Democratic Congressman Vicente Gonzalez privately dined with President Donald Trump at the White House on Monday night. There were a couple other House members at the dinner. Gonzalez and Trump discussed border security, infrastructure modernization, tax reform and veterans. Gonzalez is six months into his first term in Congress. 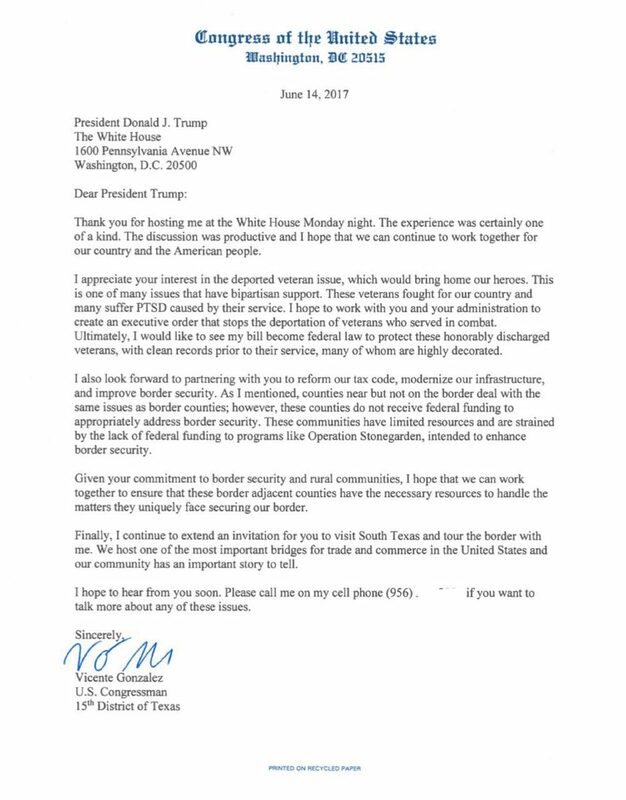 Gonzalez wrote a letter thanking Trump and inviting him to the Valley. Gonzalez concluded the letter by listing his cellphone number. “Please call me on my cellphone if you want to talk more about any of these issues,” Gonzalez wrote.